BINGHAMTON, NY – The Southern Tier Singers’ Collective (STSC), a vocal ensemble including Binghamton University faculty and alumni, will perform at Binghamton University on Jan. 29 and at St. Patrick’s Church on Feb. 9. Both shows are organized by William Culverhouse, director of choral activities and assistant professor of music at Binghamton University. The first performance, “Returning to Love: An Evening of Italian Renaissance Madrigals,” takes place at 7:30 p.m. Tuesday, Jan. 29, at the Binghamton University Art Museum, room 213 of the Fine Arts Building, on campus. Audience members are invited to experience the joy, anguish and renewal of love in an evening of song, featuring music by Italian Renaissance composers Carlo Gesualdo, Luca Marenzio, Claudio Monteverdi, Orazio Vecchi and Giaches de Wert. This event is free and open to the public. 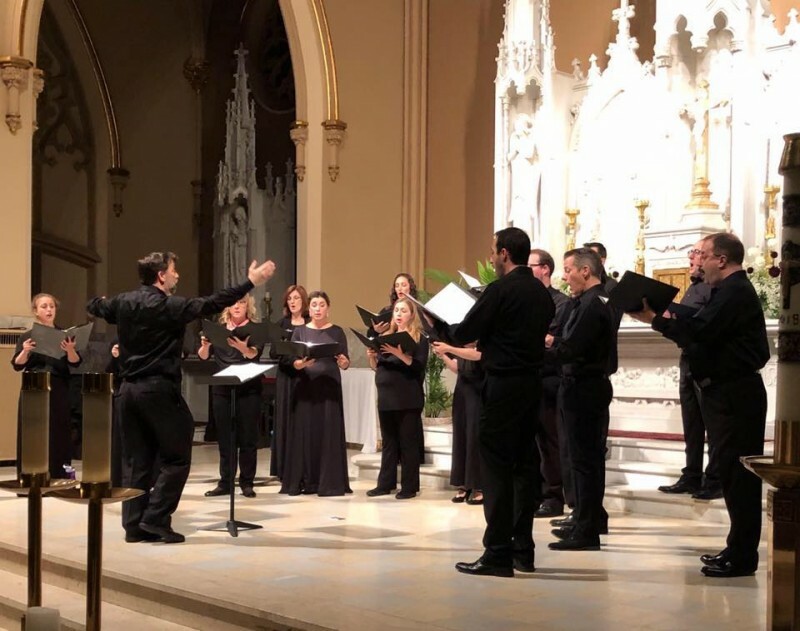 The second performance, “O Vos Omnes: Music of Repentance and Redemption,” takes place at 7:30 p.m. Saturday, Feb. 9., at St. Patrick’s Church, 9 Leroy Street, Binghamton. The program will feature works from Germany, France, Spain and the United States by Johann Sebastian Bach, Johannes Brahms, Francis Poulenc, Pablo Casals, and Morten Lauridsen. This event is open to the public; goodwill donations are encouraged. The Southern Tier Singers’ Collective is an organization of highly skilled singers presenting artistically polished performances of distinctive choral repertoire. Founded in the fall of 2018 by Culverhouse, STSC is based in Binghamton, N.Y., and draws singers from as far as Ithaca, Oneonta and northeast Pennsylvania. STSC was formed in order to offer a wide variety of vocal ensemble music in multiple configurations, ranging from an intimate one-singer-per-part madrigal ensemble to a chamber choir of thirty-three accomplished singers. The groupings employ a variety of rehearsal models, but aim to accommodate the busy lives of the region’s most highly skilled singers by avoiding recurring weekly rehearsal commitments, opting instead for a project-based cluster-rehearsal approach. For more information, email Culverhouse at wculverh@binghamton.edu.